Here is the FoneArena Samsung Galaxy S Review where we take a look at the latest Android Phone from Samsung with a Huge 4 inch SuperAMOLED Display , 1GHz CPU , 5 MP Camera , HD Video Recording and a lot more. 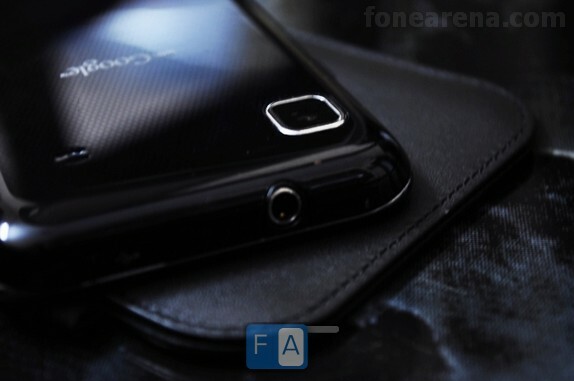 Samsung was a company that always took the backseat in the initial years of the previous decade. Their mobile phones were never revolutionary or beyond expectations. They were satisfied with making good handsets with available technology and also happy with their sales. While on the other hand, most companies tried to bring something revolutionary into the market and improve. Motorola enjoyed success through their RAZR series of phones, Sony Ericsson’s Walkman series of phones were a huge hit, Nokia’s N95 brought the idea of all in one device, Apple brought a whole new touch screen experience to the table. Not that Samsung hasn’t produced good phones over the years but nothing was able to stand out from the crowd. But recently say around 2-3 years ago, Samsung has started to rise up to the challenge. They are willing to invest, take risks establish a firm position in the smartphone world. For example they were the first to launch the 8 Megapixel Camera phone, one of the first to launch a 12 Megapixel camera phone, one of the first to launch a mobile phone with HD Ready Video recording, Super AMOLED display , Bada OS etc. They seem to have also gone beyond their usual to market their products, especially with the Galaxy S and Wave. The Galaxy S is Samsung’s latest device with Google’s Android OS. Let us take a look whether the Galaxy S is worth all the hype. Nothing exciting or out of the ordinary but still has all the essentials to get you going. 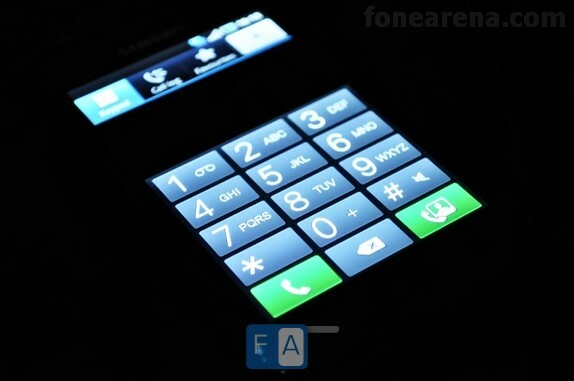 The Samsung Galaxy S is a monoblock touchscreen phone and measures in at 122.4*64.2*9.9mm. A glance at the measurements and you know this phone is sleek. At 9.9mm it fits in easily even into the tightest of pockets. While the handset is wider and taller than most touchscreens, it is not too large for a phone with a 4” screen. It’s dimensions are perfect according to us. The phone weighs in at 119 grams which is quite light considering all the stuff fitted into the phone. The main reason for it being so light is that there are no metal parts used for the phone. Everything is glossy plastic. The battery cover, the front surface etc. But the build quality of the phone is not compromised due to the use of plastic. The phone is as sturdy as a rock; there are no creaks or squeaks. The battery cover is a bit flimsy but does not become a concern once it is on the handset. The phone is basically black in colour. The battery cover however has a unique dotted pattern in blue. This gives the phone a trendy look however it’s done in a way that it’s not too flashy. So while it attracts youngsters, it does not put away the older audiences. The phone is a fingerprint magnet as in the case of any touchscreen phone. The glossy back also attracts a lot of fingerprints. 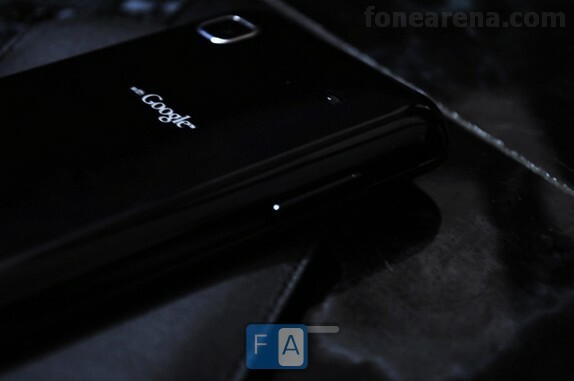 The phone is quite a looker and should please most customers. There have been rumours about a white version of the Galaxy S making its way into the markets. We think it will look quite good in white as well. The screen is definitely the best thing about the Galaxy S. The 4” Super AMOLED screen with capacitive technology is a treat just to look at. You could keep looking at video or pictures on it all day and still not feel bored. 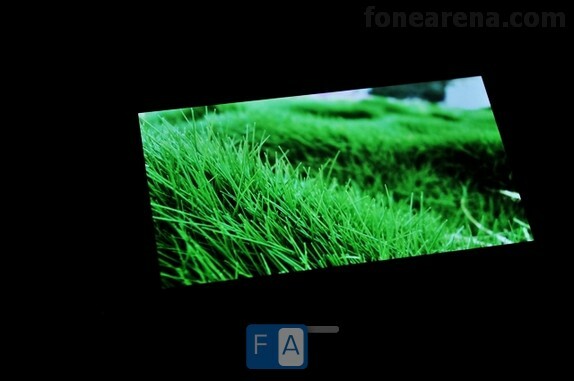 It displays upto 16 million colours and has a resolution of 480x800 pixels. The sheer contrast and brightness of the screen will amaze you. Even at minimum brightness, everything looks great. The only other screen that can be compared is the retina display of the Apple iPhone 4. All the other screens just can’t compete. An accelerometer takes care of the auto-rotations. Multi-touch inputs are supported. The proximity sensor turns the display on/off during calls. The sensitivity of the screen is brilliant and the slightest of touches are recognised. A stylus wont work on the screen because it uses capacitive technology. The sunlight legibility is very good thanks to the Super AMOLED technology due to the reduced glare and increase in brightness.. The viewing angles are also great. Being a touchscreen phone, the Galaxy S has minimal hardware buttons. On the front, the three keys on the bottom are the touch sensitive menu and back/return keys which are on either side of the Home button. All three buttons have good feedback and sensitivity. The home button also doubles as the application/task switcher key upon holding and pressing. On the right side of the device is the power button/screen lock key. The one thing missing on the right side is the camera shutter key and this is one disadvantage about the Galaxy S.
The volume up/down rocker button has been moved to the left side of the device to make way for the power/screen lock key. We would have preferred to have the volume rocker key on the right side and the power/screen lock key on top but this way works too. Although it might be a little confusing at first. We feel the volume keys could have been slightly more raised rather than making it flush into the casing. The 3.5mm Jack and the micro-USB port are situated on top. The micro-USB port is protected by a neat sliding plastic cover while the 3.5mm jack remains uncovered. The reception on the Galaxy S is brilliant. No issues with the coverage was noticed. The earpiece has good audio quality with very little or minimal distortion. Loudness to is sufficient for most cases but can be a bit feeble in very noisy surroundings such as places with loud music etc. The keypad used for dialling is large and quite user friendly. Smart dial helps you to make calls easily by giving you suggestions according to your input just like search boxes do. The loudspeaker is loud enough indoors but might not be enough outdoors and the ringing volume too might be drained out in very noisy surroundings. But for everyday use it should be enough. The proximity sensor turns off the display when you hold it next to your ear thus eliminating inputs by mistake and also help to save battery life. The phonebook has practically unlimited capacity and is great. 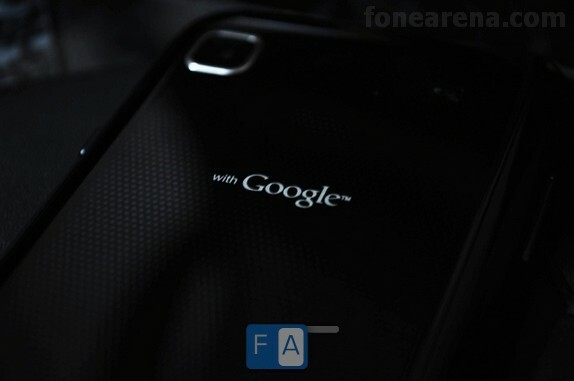 You can view contacts from phone memory, SIM card and Google contacts. You can easily search through your list of contacts using the alphabet scroll on the right, similar to the one found in the music player. You can add info to every contact such as a picture, various phone numbers, website, birthdays etc. The messaging application organises your messages into threads which are separated on the basis of the person to whom you send or receive the text from. We feel the thread system keeps messages more organised and makes it easier to search for messages. 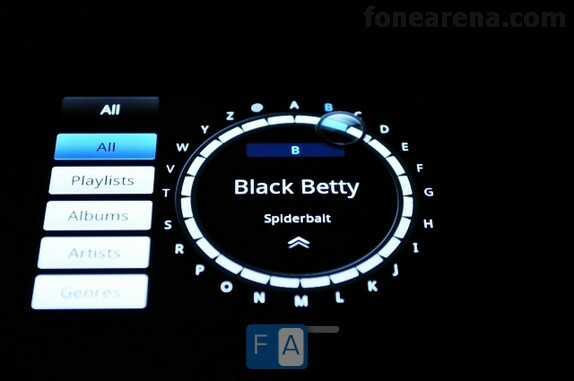 Messages can be entered using the virtual QWERTY keyboard which is available both in portrait as well as landscape modes. Swype helps you to type quicker by eliminating the need to take your fingers off the screen. The keys are large enough and most of the time very less errors occur while typing even for people with big fingers. As with most smartphones available today, the Galaxy S is equipped with every connectivity feature in the book. The vast connectivity options include GPRS, Wi-Fi, EDGE, 3G, HSDPA, micro-USB and Bluetooth 3.0. It is one of the first phones to sport the new version of Bluetooth which gives faster transfer rates and more coverage while consuming lesser battery life. The micro-USB transfer rates are very fast and files of big capacities were copied easily without hesitations. 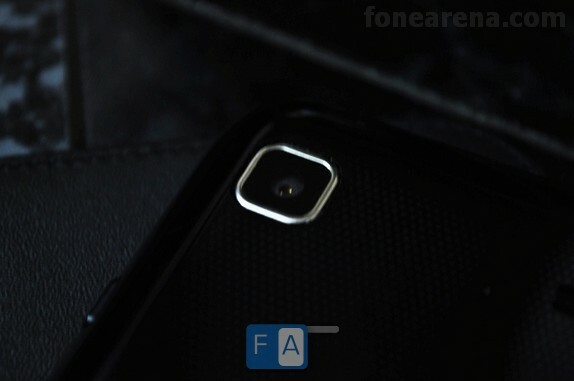 There are two models of the Galaxy S which provide either 8GB or 16GB of internal memory. The memory can be expanded further by an additional 32GB using the micro-SD card slot. The phone also has 512MB of RAM and 2GB of ROM. 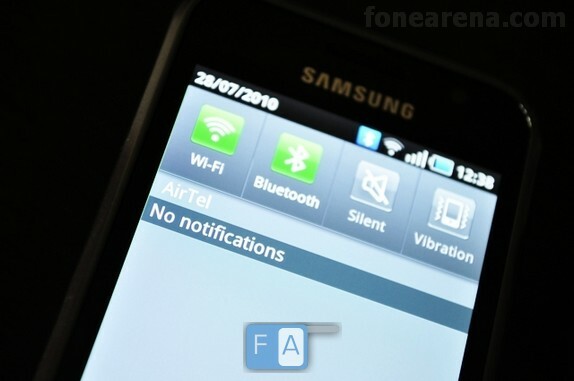 We had some trouble in getting the phone to work over BSNL 3G but we hope it’s an issue only with our unit. The Galaxy S does extremely well in the music department both in terms of hardware as well as software. The loudspeaker on the device is brilliant in terms of the quality of output. There is little distortion even at maximum volume. But the loudness isn’t at the top of the charts. The only let down is that location of the speaker. You can connect your own headphones without any adaptors thanks to the 3.5mm jack situated on the top. The audio through the jack is spectacular in both quality as well as loudness. You also get various other tweaks and options such as the 5.1 surround effect, the equalizers and sound effects. The music player is also brilliant. It is not the usual one that comes on other Android devices but a version that has been tweaked by Samsung and it will take your breath away. It not just has the awesome eye candy but also helps to ease the process of searching for music etc. It is not possible to explain the features with just words so please take a look at the pictures and videos of the Galaxy S music player or if possible try one out for yourself to understand the awesomeness. Samsung is the current king of video playback. The Galaxy S supports every format that you put into it be it mp4, wmv, DivX, XviD, mkv etc. Although bigger mkv files might not be recognised at times. It is the only Android powered handset to support so many formats and together with it’s massive 4” Super AMOLED screen, you could keep watching videos on it forever. We even managed to play HD Ready 1280*720 pixels videos on the phone and it should come as no surprise given the fact that it has HD Ready Video Recording. 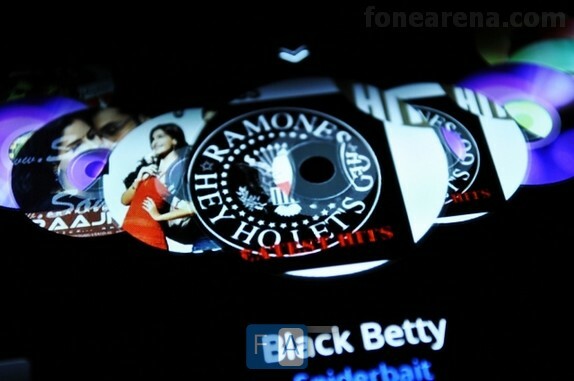 The phone could be used as a dedicated media player too considering the great battery life. HDMI support would have been cool but Samsung has left it to the hackers. Update: Samsung has released a microUSB to HDMI Adapter for the Galaxy S in the USA for $50 . Thx Kalpik ! The Galaxy S is equipped with a 5 Megapixel camera with Auto-focus, Touch-focus, smile and face detection and Geo-tagging. Surprisingly the camera does not come with a flash, not even an LED flash. This is one of the very few drawbacks of the device. If it did have an LED flash, the device would have been nearly perfect. While we are fine with the resolution of the camera, the image quality is poorer than we expected. The lack of a flash aggravates the situation. The images taken with the phone are mostly underexposed, noisy and quality is average or above average at best. It does not compete with the top 5 Megapixel performers. Night time photography is out of the question. But during daytime, it does the job. The camera does not have a lens cover so the lens is exposed to scratches, smudges and fingerprints. But that is not the worst part considering the lack of flash and also lack of a camera shutter key. The only way to take photos is by using the onscreen camera shutter key. You tap on the area where you want the camera to focus, after it focuses, tap the camera icon and the picture is taken. The focusing time is quite good and so is the shutter speed but here again its not among the best. The Galaxy S is equipped with a massive 1500 mAh Battery. Samsung claims it to have a standby time of 750 hours using 2G and 576 hours using 3G. Talk time is rated at 13 hours 30 minutes on 2G and 6 hours 30 minutes on 3G. In reality too the Galaxy S has great battery life. It exceeded our expectations. You could get 2 days of battery life easily even with heavy usage. We tried everything from music, videos, camera, applications, web browsing etc when we got it and the battery still lasted around 1 and half days which is very good for current high-end phones. 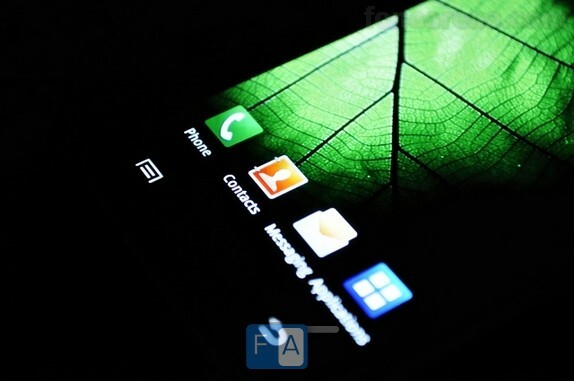 The phone runs on Android 2.1 OS with a Samsung Touch Wiz 3.0 UI. 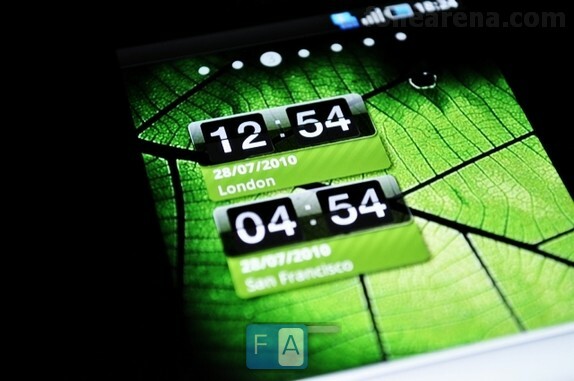 The default Android Live Wallpapers are available and there are also a few from Samsung. 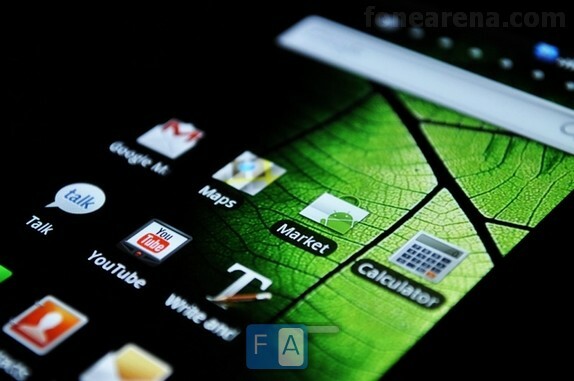 The 7 Home screens are customizable with Widgets – Samsung and Android. You can choose from up to 4 Fonts. We liked the Default Font the most. You can download access apps from Samsung Apps and the Android market. 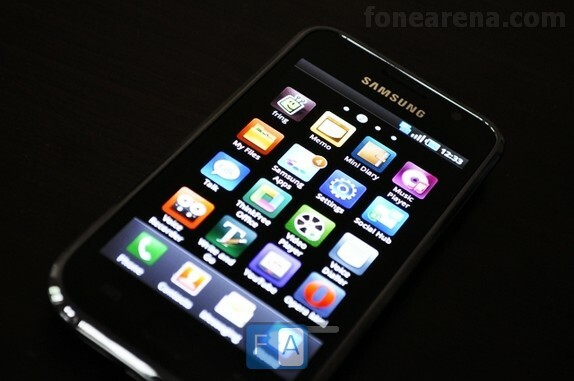 Samsung Galaxy S has turned out to be what we feel is the best Android phone in the market right now. It has everything you could ask for. Its good as a business phone, a multimedia phone etc. It does have a few drawbacks but maybe just one major drawback and no phone is perfect anyway. The only department where it needs quite a big improvement is imaging. It rocks in every other department. Anyway we feel that this phone will be worth every cent you spend and you’ll love it. Speaker could have been better.